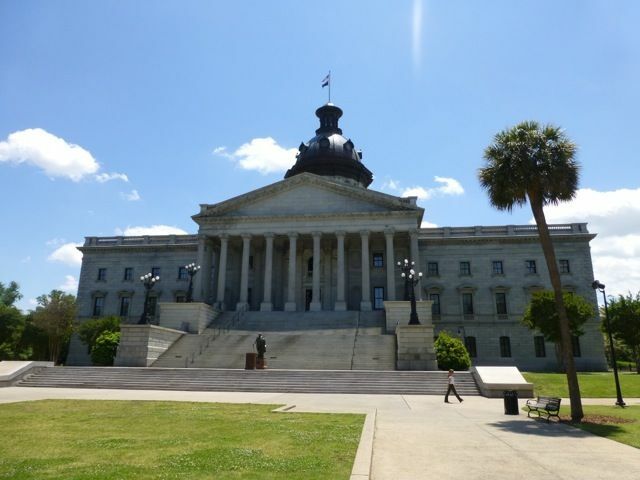 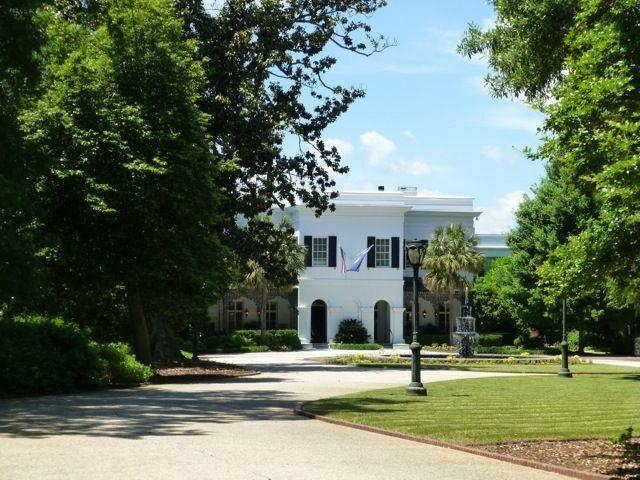 Today we drove the 100 miles through Columbia to Fort Ninety Six with a brief stop to photograph the SC state capitol and governor's mansion. 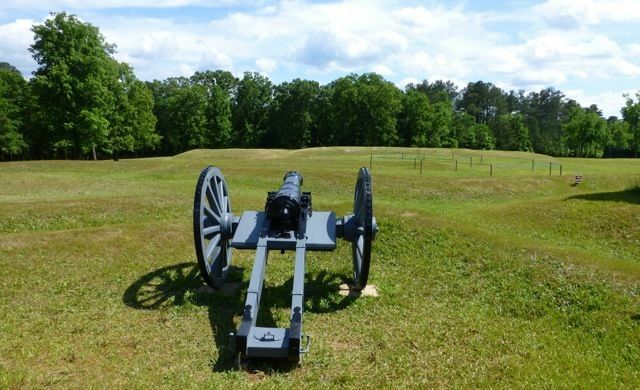 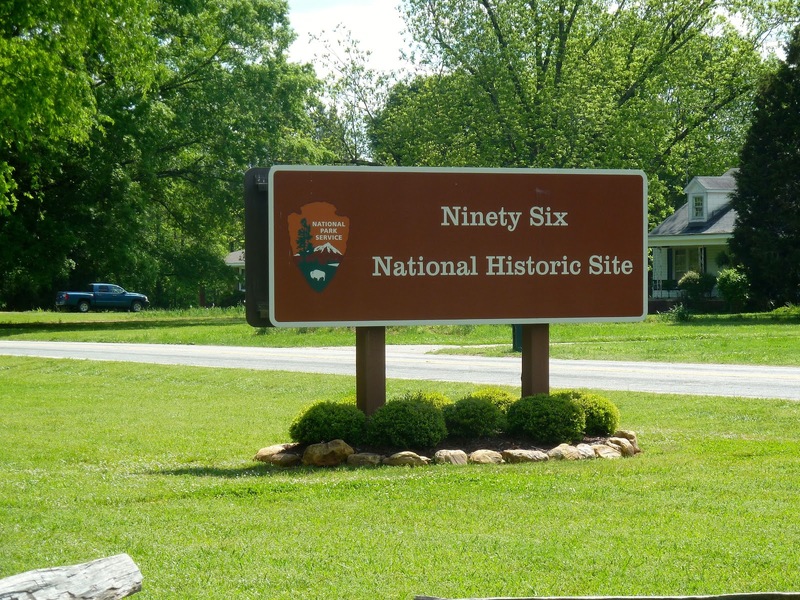 Fort Ninety Six dates back to colonial times when a settlement began on the 96th milepost, a trail used by traders with the Indians. 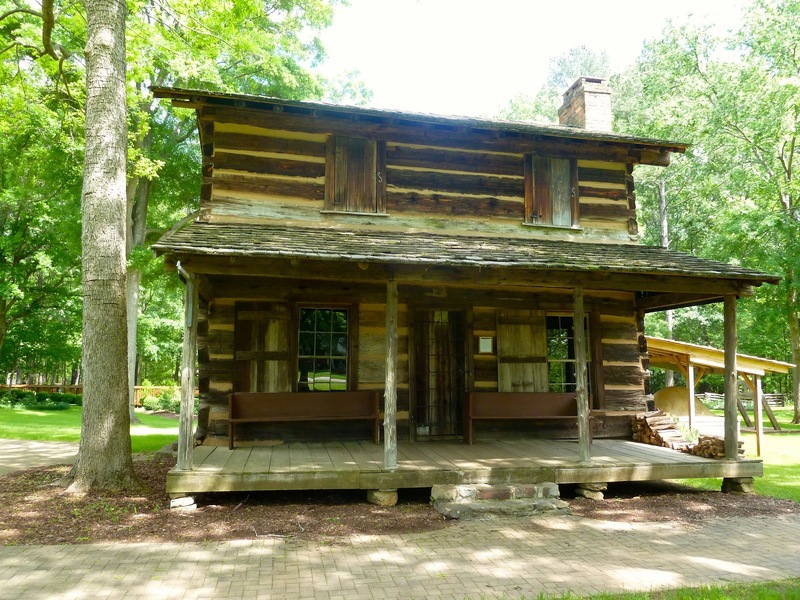 There are several versions as to how it got its name..one being that it was 96 miles to Keowee, the capital of the Cherokee nation. Another was that an maiden counted 96 streams when she rode to warn of a British invasion. 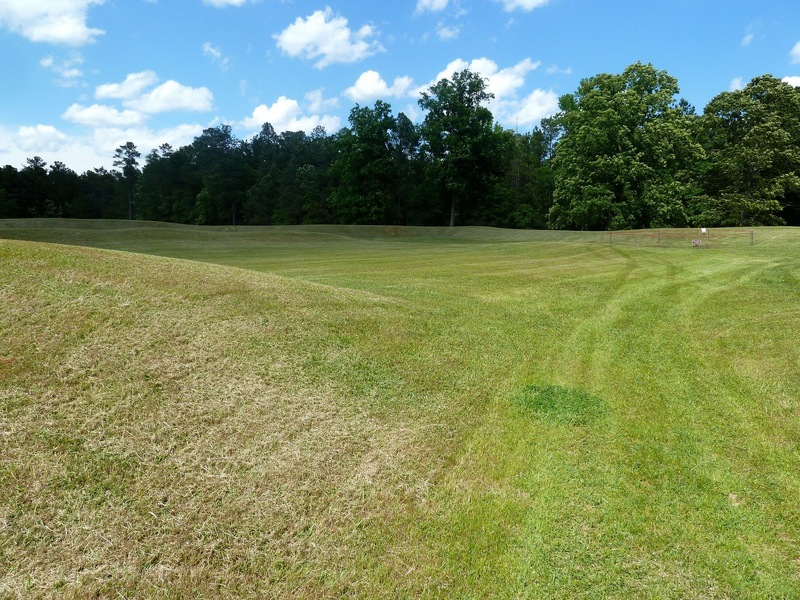 The first land battle of the Revolutionary War was fought here in 1775. The battle ended in a formal truce. 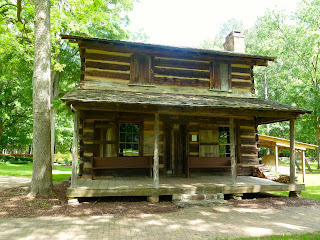 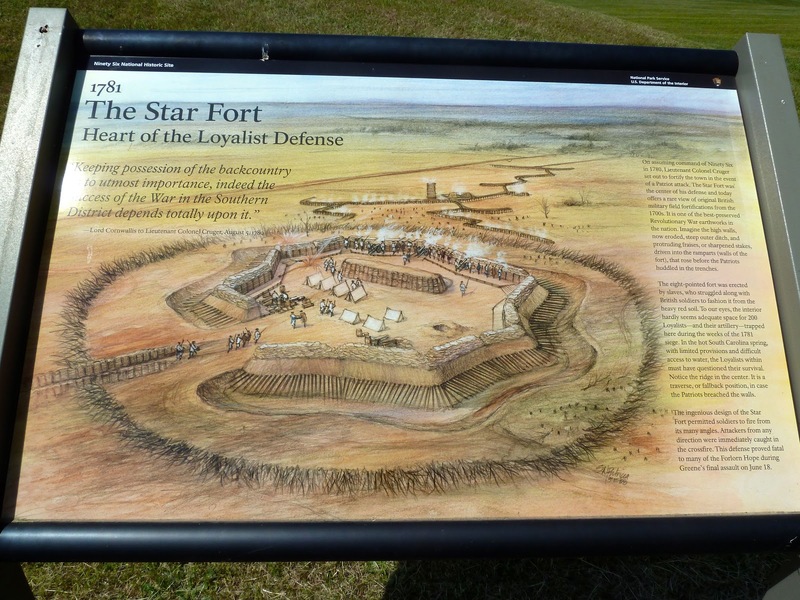 It was considered a key backcountry outpost and a star shaped fort was built of massive earth embankments. The embankments still exist however much smaller. 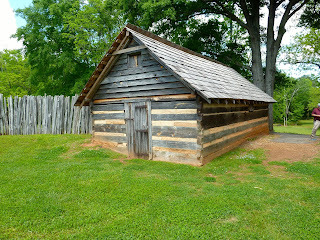 The fort provided protection for the pioneers. 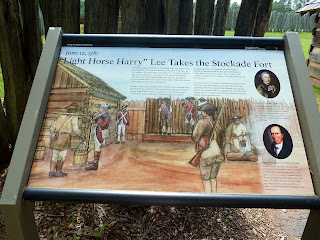 The British abandoned the fort in 1781, burning it before they departed. 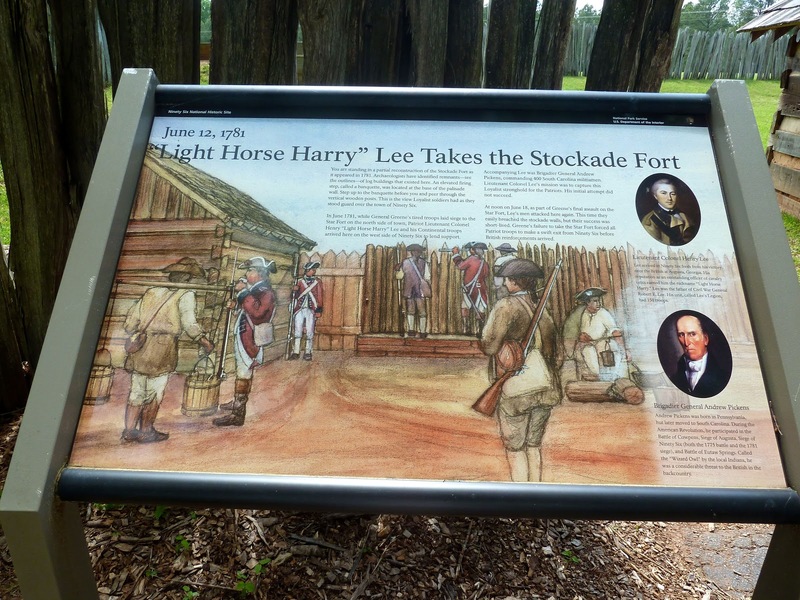 The National Park Service has done a good job of signage and walking trails depicting the life as it was then and location of town buildings. 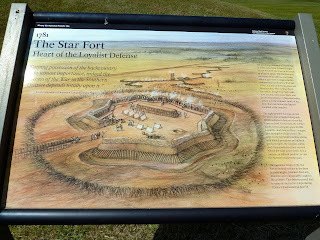 The Star Fort is now a series of mounds and difficult to picture. 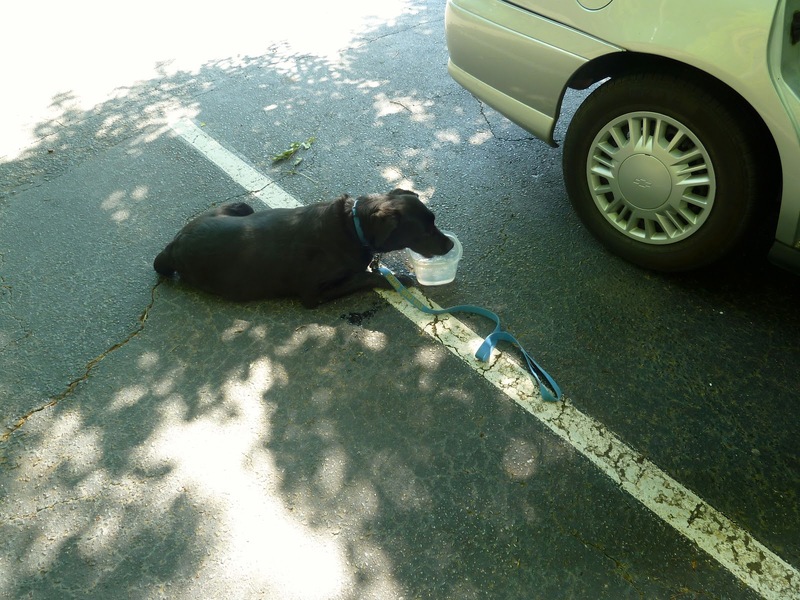 Destiny had difficulty walking the trail and had to stop every 100 ft or so to rest.